Ursula Owusu-Ekuful is the Minister of Communication. Issues within the existing SIM card registration regime has led the National Communications Authority (NCA) to crack down on strict compliance with the law. 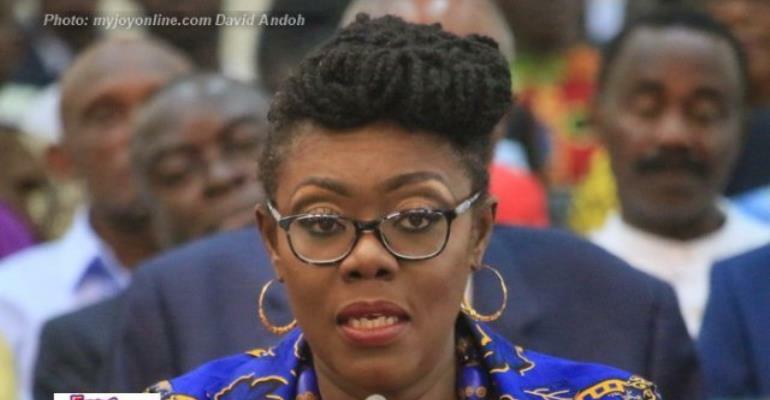 In a press statement released to media Tuesday evening, Minister of Communication, Ursula Owusu-Ekuful, addressed these concerns and reminded all players within the SIM registration chain to safeguard strict compliance within the SIM registration. She further stated that the activation processes must be in line with the relevant statutory provisions. Deficiencies identified the registration process includes the following: the sale of pre-registration SIM cards, the use of pre-registered SIM cards and fraudulent registration of SIM cards and usage of the same, according to Owusu-Ekuful. The flaws, therefore, substantiate mobile money fraud, illegal SIM swaps, impersonation, cybercrime, among other criminal activity. She added that while the Ministry partners with the needed institutions to ensure the success of the SIM registration, all stakeholders must engage with mobile money operators (MNOs) to address these issues in an expeditious manner. On Saturday, Information Minister, Kojo Oppong Nkrumah, cautioned everyone within the registration value chain to ensure acquiescence with the SIM activation processes in line with the statutory requirements. He disclosed that through the Ministry of Communications, he took note with concerns of a number of deficiencies with the existing SIM card registration regime in Ghana. “With government’s commitment to migrate towards a formalised digital economy as part of the Digital Ghana Agenda (DGA), it is important for the communications industry to ensure the integrity of an integrated database and systems. This will also build security, trust and confidence for the use of digital services,” he said. STATUTORY PROVISIONS (from the Information Ministry). “(1) A network operator or service provider shall comply with the directives established by the Authority to (a) prevent; (b) detect; or (c) disconnect the use of the subscriber identity module or the user identity module of that operator, for terminating an international call on any network in Ghana as a local call. “(1) A person shall not deal in a pre-registered subscriber identity module or user identity module. (2) Any person who knowingly deals in a pre-registered subscriber identity module or user identity module commits an offence and is liable on summary conviction to a fine of not more than three thousand penalty units or to a term of imprisonment of not more than five years or to both. (3) For the purposes of this section, a "pre-registered subscriber identify module or user identity module" means a module that has been registered with the data of a person other than the person who finally acquires the module for use on a network except as permitted by law."